When it comes to the art of sleeping, hands down, cats own it. 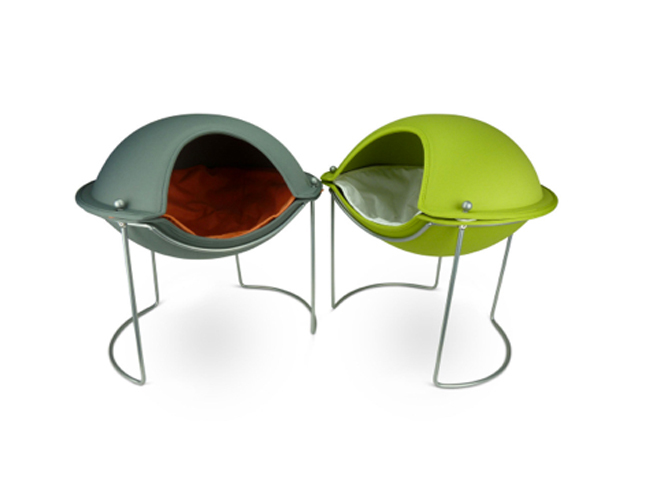 So check out these cool pods if you want to treat your furry friends to their own private sleeping condo. I read somewhere that cats sleep at least two-thirds of their life away and I kind of envy having a talent like that, don’t you? Have you ever watched a cat sleeping? It can be kind of hilarious. I love the way they’re so flexible they’ll curl up tightly into a ball, yet have a look of total relaxed bliss on their face. 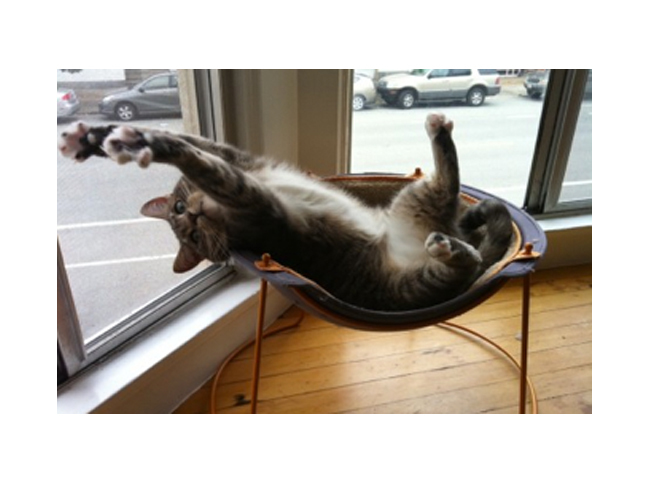 Or there’s what I call the acrobatic cat sleeper, who sleeps continuously, but has occasional “fits” of striking out into a variety of hilariously entertaining frozen poses that make it hard to believe they’re still asleep while performing all those contortions. 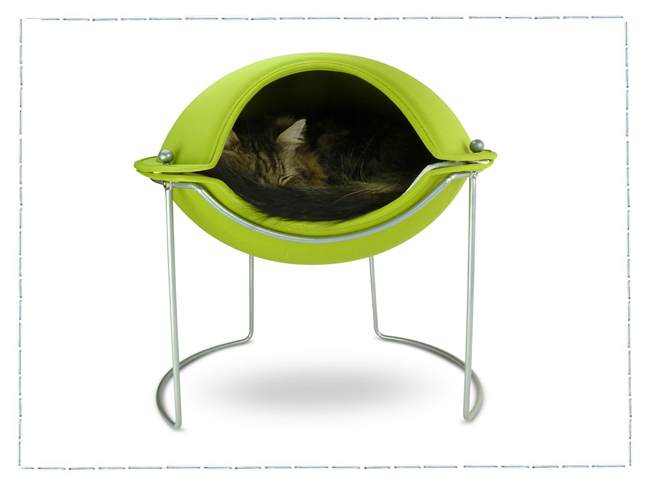 So when I came upon these amazingly designed Pod Beds, they raised the art of Cat Napping to a whole new level. And as an added bonus, it’s cool architectural design will add a nice design touch to your home too. 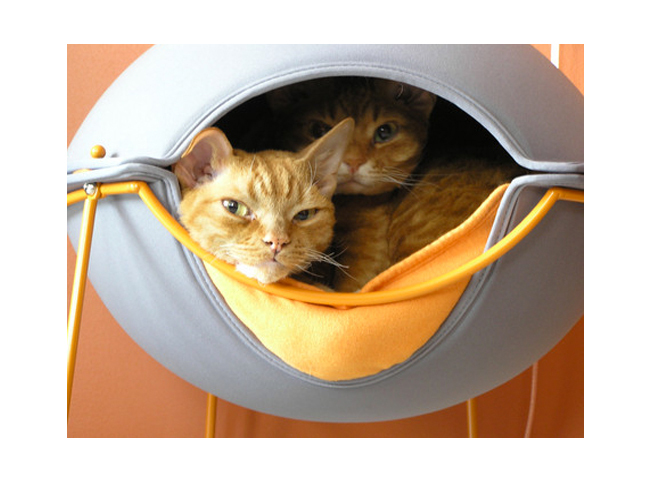 And if your cats are really good pals, maybe they’ll even cozy up together and share their pod, like these two adorable cuties. 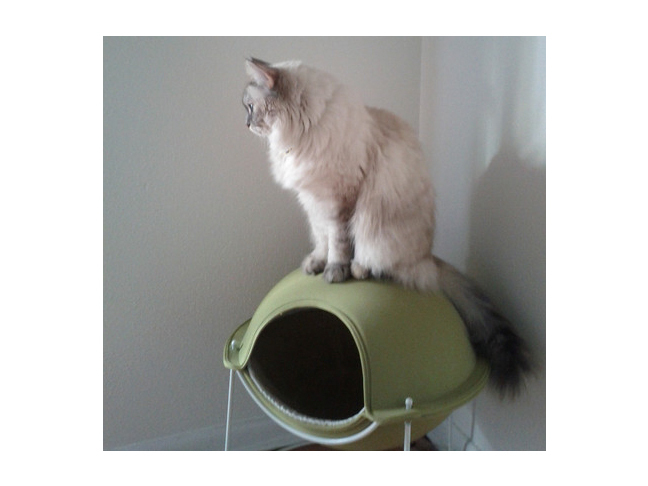 And if you understand anything about the personality of cats, you probably already know how they like to perch themselves up in high places, where they can rule as king or queen, while keeping a safe eye out on the world below.